Maximize the profits from the sale of F&I products, minimize your risk by managing your own risk low cost efficient administration tax savings. Agents Management Group helps you set up and operate your own reinsurance program. Why send the profits outside administration? 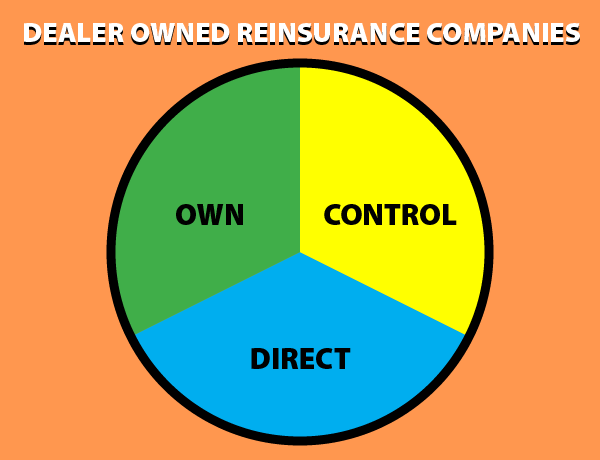 As the reinsurance company, you are entitled to the underwriting profits and investment income of all eligible insurance products your dealership currently sells. Under IRC Sec. 831 (b)(2), your reinsurance company is taxed only on investment income. Flexible options that provide you with complete control within exceptionally reasonable guidelines.